“Here, drink this.” It was my third attempt in an hour. 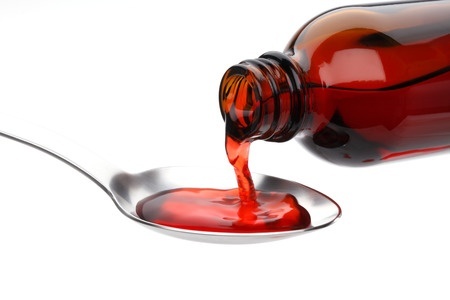 “Come on Sol, take your medicine.” I steadied the spoonful of red sticky liquid and held it to his lips. He knocked it out of my hands. He leaned back and smiled. Tears rolled down my cheeks. He was a breathing skeleton. In three days my only brother would be dead. But in three days, sure enough, Sol was up dancing around. And I could have sworn he looked ten years younger. “Oh my sweet Lord, Sol.... what have you done?” It was a miracle. He smiled at me, grabbed my hand and twirled me around. It made me dizzy and giddy. I was thrilled. For the moment. All at once, I felt weak as his face twisted into an evil contortion. My skin was feverish and then ice cold. I didn't want to believe it, but I did. “What? A choice? Who gave you a choice like that? Sol... really... who? What... It's not possible...” My head was spinning and my voice trailed off. I felt ill, suddenly not just heart sick, but physically sick, in the pit of my stomach. I ran towards the bathroom, but didn't make it. I vomited twice in the hall. Sol was right there with me; he pulled back my hair and wiped my mouth on the sleeve of his shirt. I couldn't fathom what was happening; it just didn't register in my mind. No....he wouldn't have, even if he could. His own family? I was his only sister, he wouldn't have bargained me away to... to what? He hadn't even said.